This months project is the lining out of the cockpit. 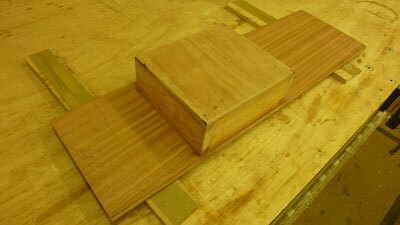 The first thing I had to make was the abutment for the lower edge of the lining boards where they meet the floor. I transferred the sheer plan profile to some suitable timber, cut it, then bonded it to the floor. 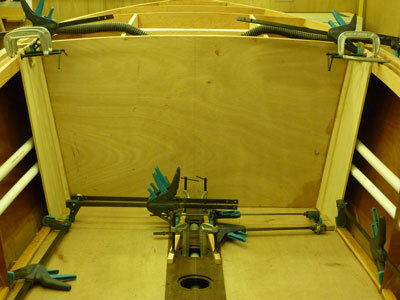 After this it is just the handle turning operation of laying one board after the other. I started laying 2 boards per session but soon graduated to 3. The boards are Ash, 75mm wide by 10mm thick tongue and groove with a beveled joint. 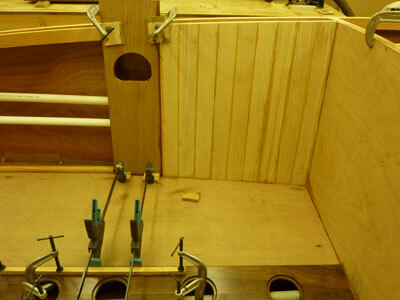 After 9 boards (75mm wide) I fitted the forward cubby holes. This shot shows the plastic pipe I've installed as conduit; the upper tube is for the steering cables and the lower for the electrical wiring. 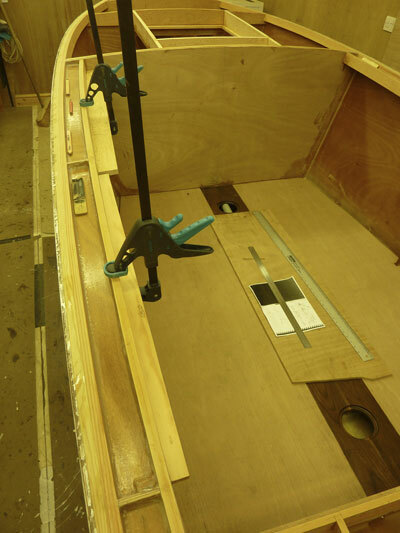 The cubby hole is self contained and not relying on the hull.